At Pan-Galactic Sculpture we have a reputation for producing the finest quality after market parts for your Big Twin Harley. We manufacture our own die-cast heavyweight aircraft aluminum derby, points and inspection covers. All of our parts come with our unconditional guarantee of satisfaction. If you don't happen to ride a Harley, we can still trick out your scoot with our exclusive custom process. Designing a custom bike from the ground up? We can help. 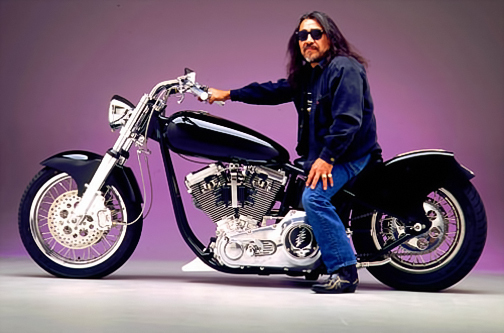 Custom images on Engine cover sets, gas caps, tanks, fenders, oil bags - almost anything - can be the perfect one of a kind finishing touch to your custom project. We can develop your design concepts with you or you can supply the images to us as camera ready art. Either way, as opposed to traditional airbrushing of custom designs, you can see the actual artwork before it goes on your parts. In addition, the cost is substantially lower and the quality and durability considerably higher, than that of airbrushing. Pan-Galactic Sculpture provides design and resource assistance with your customizing project. We enjoy brainstorming and problem solving with you. We maintain an extensive network of artists, craftsmen, bikers and builders whose work, expertise and reliability meet our high standards and yours.